Yaesu Ft-450D is a super compact HF & 6 meters transceiver able to fulfill all your portable needs. Dxing and even dxpeditioning are the most popular part of operating on HF and looking for affordable radios, the Yaesu FT-450D is a really interesting choice. It could be the case, for may reasons to avoid to purchase as a low cost radio a Chinese Transceiver. They work pretty well, for exemple the XIEGU X-108G is excellent but the supplier is ofter poorly reliable. And as a first radio, it could be better to opt for a wellknown brand. FM-USB-LSB-AM-CW, 100 Watts of Transmit output on 6-160M Amateur Radio. You will spend more, not a lot, but few bucks more, to get a radio with a solid reputation, a reliable after sales services and longer life cycle. To review the Yaesu FT-450D, I have to said that have been using this rtx daily for less than one year and I said is worth the value for its performances. I have to said that Yaesu Ft-450D is an ultra compact HF & 6 meters transceiver able to fulfill all your portable needs. I have had nothing but good reports about the Yaesu FT-450D sound quality and my signals on SSB, AM and digital were very good. Even 50 MHz FM had the same good reports. The Yaesu FT-450D includes an Automatic Antenna Tuner and its dimentons are 9”W x 3.3”H x 8.5”D (w/o knobs). The Yaesu FT-450Dis just 8.8 pounds. The FT-450 was designed light to be used as a desktop radio at home or in portable applications, especially during solo-dxpedition. The FT-450D can also be used mobile with the MMB-90 convenient mobile bracket accessory. The Yaesu FT-450D is very easy to pack for a DXpeditio on the other side of the World and even for Emergency Operation it can be easily used in disaster where HF are needed. The FT-450 by Yaesu has a compact, lightweight, high performance receiver, and 100 watts output on 160 through 6 meters Amateur Radio bands. Yaesy FT-450 is an amazing little rig and It’s packed with features that more expensive rigs have as options. We love when Yaesu has our Low-Cost-Hamradio philosophy! I have used it everyday for less than one year on all modes and bands and it is simply great. The receiver is outstanding and the filters work pretty well. The CAT software is free and works great with the SCU 17. Whit this cable, digital modes had never beed so easy. I don’t think there is anything that compares in this price range and it is perfect for a website as LowCostHamradio, because it is cheap and work very well. It’s a perfect radio to begin the HF activity: cheap, reliable, solid. In this age 100 watts is nothing more than QRP. Unfortunately today’s OM love the muscles. More power you have the better. But 100w even on 6 meters are not bad. The Yaesu FT-450D is a tiny readio with an alluminum die-cast chassis equipped with thermostatically controlled cooling fan and a solid foundation for the power amplifier during long hours of field or home use. Yes, Yaesu FT-450D is a real radio, that you can use for contesting! As per many common radios, even the Yaesu FT-450D requires 13.8 VDC 22 amp external power source. The Yaesu FT-450D is equipped with a 9-segment Black-Nega type LCD frequency display with wide screen that will help you to read characters, functions and frequencies. The front panel buttons are illuminated to facilitate the usage without light. They have a classic design as the main dial & the knobs. This vintage style is giving it the desirable “Big Radio” look & feel. The Yaesu FT-450D is equipped with a 10 kHz bandwidth Roofing Filter in the 67.899 MHz 1st IF, right after the 1st Mixer. This filter provides narrow-band selectivity to protect the following IF and DSP stages – a feature rarely found in rigs in this price range! The second reason is that Amazon loves to delights the customers. Amazon is a store where the consumer is always treated with gloves: whatever happens to the goods you will always have a person on the other hand able to help you with professionalism and courtesy. 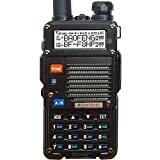 Amazon will never abandon you in the midst of a problem and you will always find a solution if your Yaesu FT-450D is arrived damaged or if you made a mistake ordering something. Delivery is punctual, tracked and you can ship the Yaesu FT-450D at home, office or mail box. We do not know you, but we are always at work and we always are not at home to receive the goods. And what if things really go wrong? Should I find out that you bought the wrong radio or the wrong accessories for your Yaesu FT-450D ? Amazon warrants free refund for any reason, within 30 days. You can return the Yaesu FT-450D you have mistakenly purchased without having to give any explanation. You will not have to justify it for any reason. 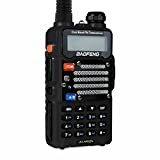 Finally, Amazon offers the free shipping: if you spend more than few dollars, and with the Yaesu FT-450D plus few accessories you will have zero problems. In fact you amateur radio surely costs more than this limit unless you just take one of those terrific deals you can not say no. But in that case, saving would be anyway. Enjoy the battle: the Yaesu FT-450D has overcome easily the Alinco. FT450D is a magic radio. At the very end, I’ve been operating for 39 years. In that time I purchased from Kenwood TS520 to top-luxury HF radios. I have owned several of these radios, it’s like i’m a compulsive collector. It’s my very strong view that there isn’t a radio on the market that offers as many features at this bargain price and performs this well. This radio is perfect for many different operation. It’s perfect for dxing, dxpeditioning, contesting, emergency communications. It’s the most interesting entry-level radio I ever had. Congratulations to Yaesu. Keep up the good work!